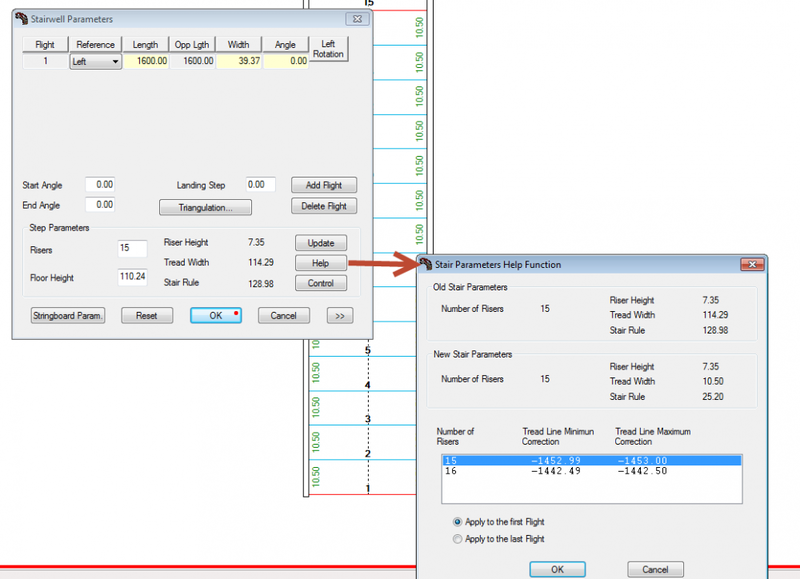 Set the Units to a precision of 2 decimal places. 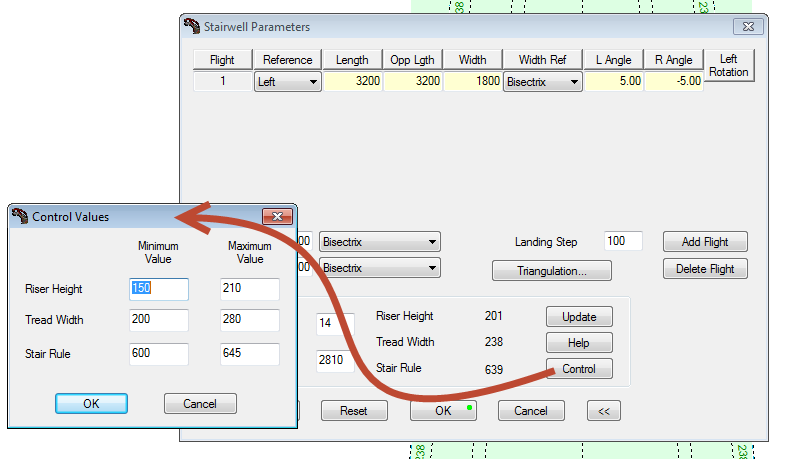 In the “Stair Well Parameters” dialogue box use the “Control” button to set the minimum tread width to 10.5 and the max to 10.501. When you exit the “Help” box the “Stairwell Parameters” OK button should be green and the treads set to 10.5. Is there any way to make the stair rule work for standard sized tread, Normally 10.5 inches. You are right the general stair rule as defined by the French 17th century architect Nicolas-François Blondel, as 2x rise (height from step to step) + 1x going or width of step should be more than 60cm and less than 64cm. Not sure where you found the formula with the “h” for the step width though. This rule can be bent a bit but is surprising efficient in producing a comfortable stair. One has also to take into account maximum and minimum step heights and widths. 20cm is usually considered a maximum height but I can go up to 21cm if necessary. 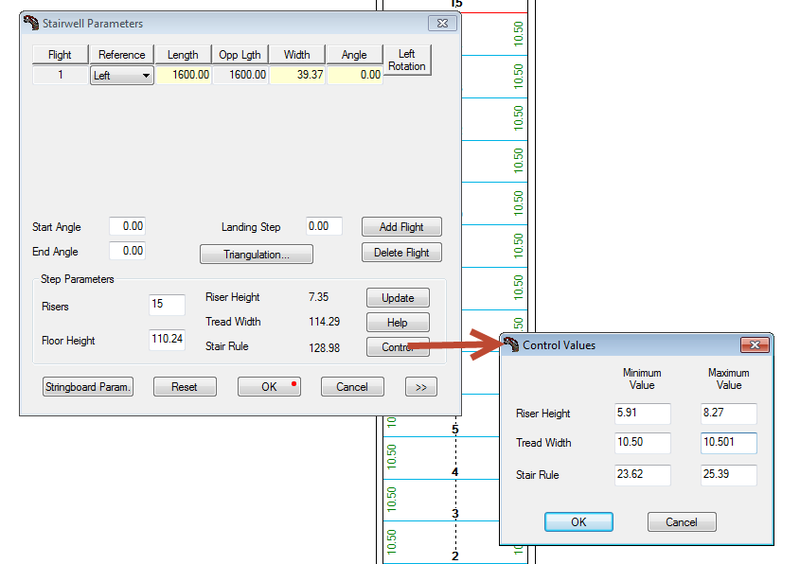 These values can be set up as you want in StairDesigner control values. The important thing being to get as close as possible to rule while maintaining a maximum tread width. I’m not sure why H is used but it refers to the Going or tread width and R = riser height. Please correct me if I’ve misunderstood! How is the stair rule calculated? Which parameters effect it and how?